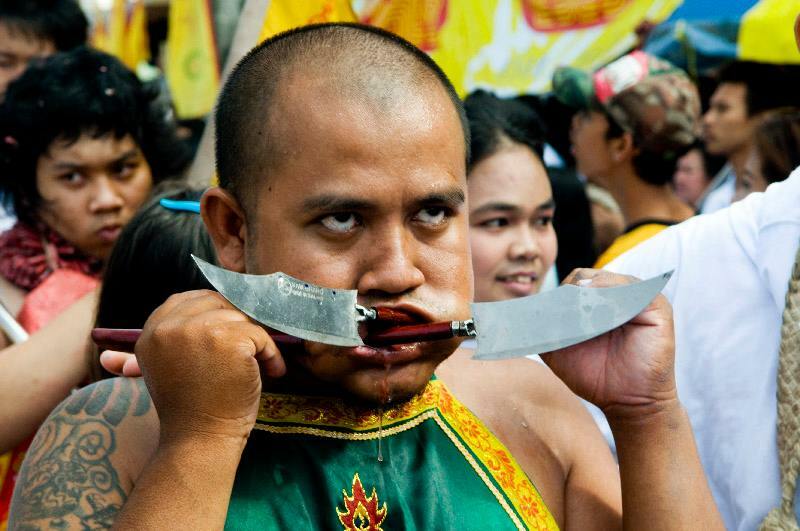 I was on an assignment in Phuket to capture the bizarreness and extremeness of the Vegetarian Festival (which happens in late September). The participants go through severe self mutilation but in order to do so, they first go into a state of trance. I wanted to capture the facial expression of a man or woman being in trance along with the bizarre scenes seen in this festival. The photo was taken during a morning procession with many people around me, pushing their way through. Boaz Rottem is an American/Israeli photographer who spent several years based in Nanjing, China, but now works out of Hong Kong. He is a member of The WideAngle photographer’s network. For more images from the Network, please click here.